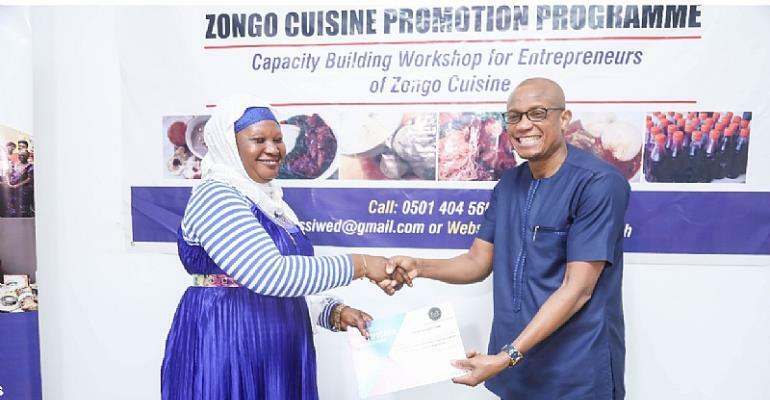 About 500 entrepreneurs and businesses within some selected Zongo Communities in Accra have been awarded certificates for successfully completing the “Zongo Cuisine Promotion Workshop” held at various centers. The initiative by the ministry is in collaboration with the National Board for Small Scale Industries (NBSSI) enables producers of local cuisines such as Fura, Hausa-Koko, Waakye, Tou-Zaafi, Wasa-Wasa, Koose, Maasa, Sobolo etc expand their businesses and maximize more profit. They are trained to adopt modern practices of presentation and packaging (branding), food safety and quality, bookkeeping, financial savings, customer care, clean business environment (sanitation), etc., to boost their business and maximize profits. 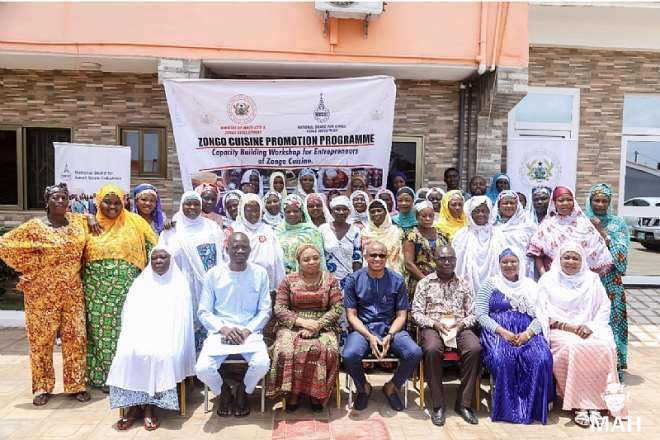 Honourable Mustapha Abdul-Hamid (Ph.D.), Inner City and Zongo Minister admonished beneficiaries of the ongoing Zongo Cuisine Promotion Programme to make the best out of what they have learned at the training workshop by experts in various capacities. “It will also attract more people from the buying public which will enable you to make more money and expand your businesses and employ more people,” he added. 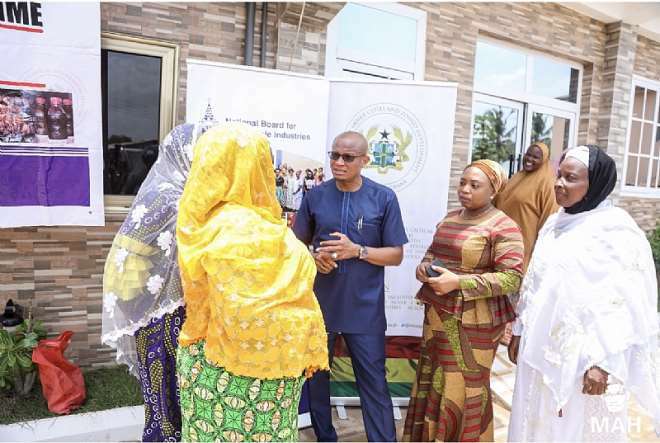 However, Dr Mustapha Hamid noted that the ministry will pay random visits to some beneficiaries to ensure effective implementation of skills are actually implemented. According to him, the ministry in collaboration with the NBSSI will provide market accessibility and help those who are serious and dedicated access to Masloc loans to help them expand their business at low or no interest charges. 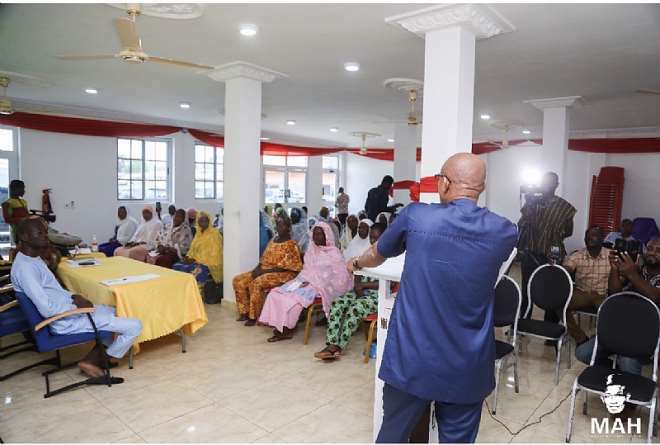 Beneficiaries who took part in the week-long workshop expressed gratitude to the Zongo Ministry and the NBSSI for the organizing event and assured they would implement and pass their experience to others. Meanwhile, the ministry is compelling a “Zongo Food Album” containing photographs of Zongo cuisines and presented to all foreign embassies. 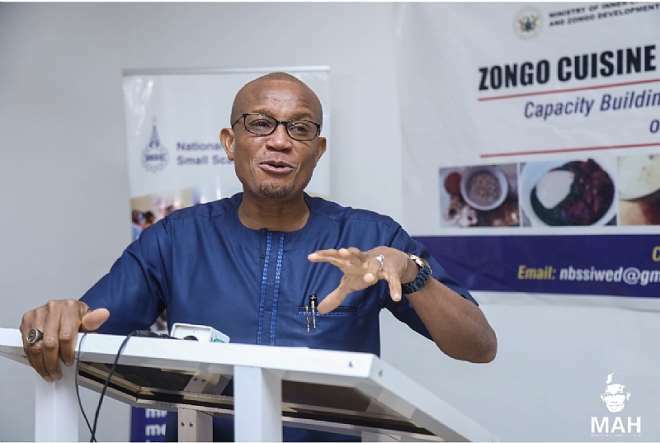 It will also later this year intends to hold a mammoth “Zongo Food Bazaar” where these Zongo produced delicacies will be exhibited to the general public.